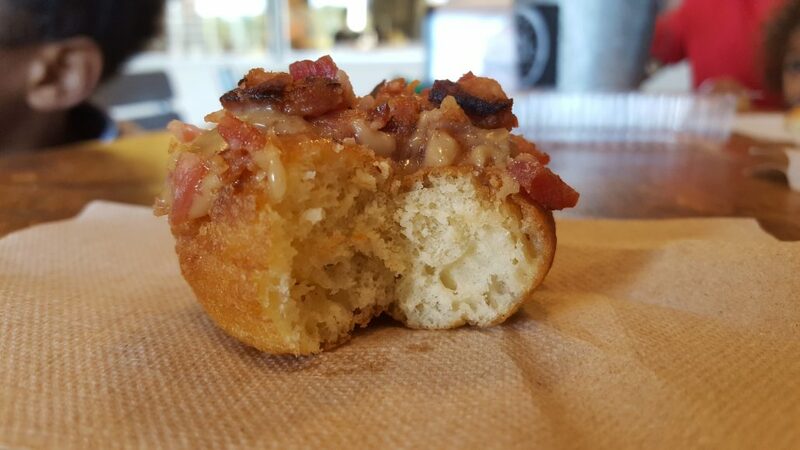 Recently, I reviewed a Maple Bacon Donut from SK Donuts out in LA. 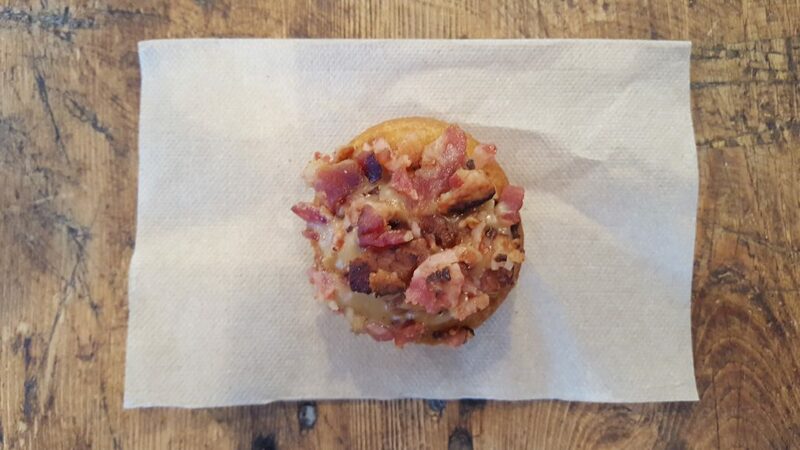 It was so good that I decided to give this Maple Bacon donut a try. 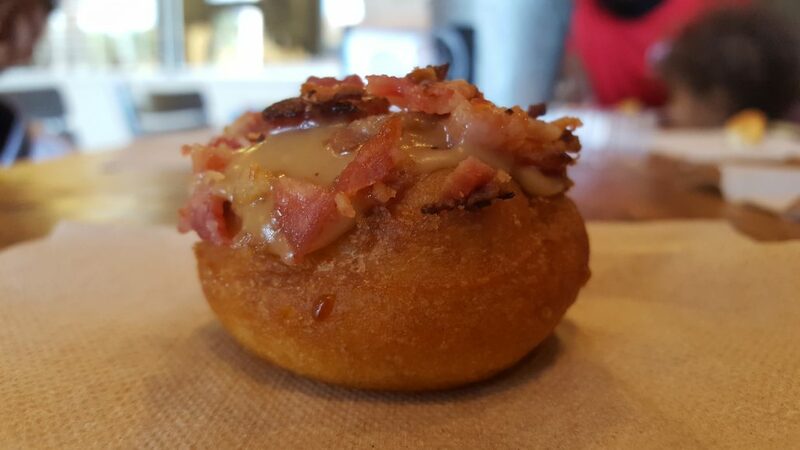 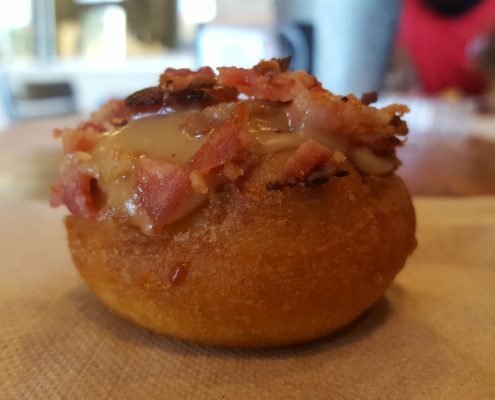 Bacon was good, but the donut was only “okay”. 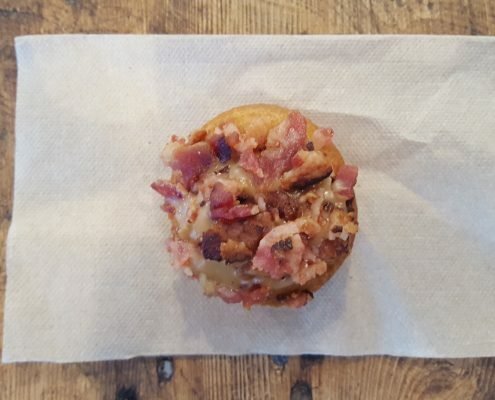 The bacon and maple were good flavors, but I was thrown off by the denser dough (D2). 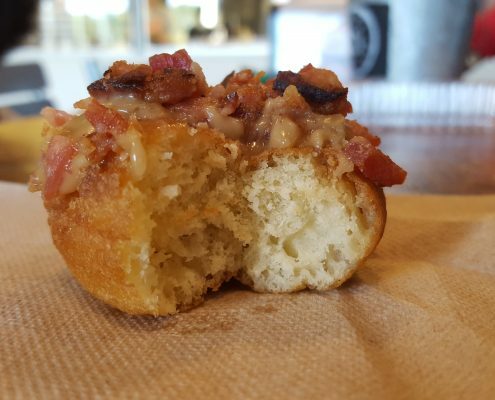 Though, the maple and bacon brought a little more softness to the dough vs. the Halloween Sprinkles donut.